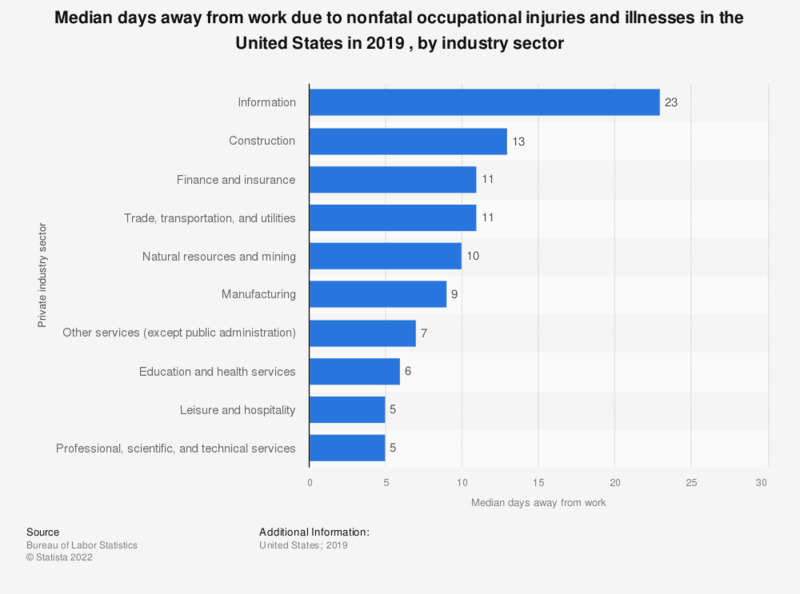 This statistic shows the median days away from word due to nonfatal occupational injuries and illnesses involving days away from work in the U.S. in 2017, by industry sector. In 2017, the median days away from work after a nonfatal work injury or illness in the construction industry stood at 12 days. All industries shown are private with the exception of government, which includes injuries to workers employed by governmental organizations regardless of industry. Figures for 2015 were added from the previous report on nonfatal occupational injuries and illnesses.